Vikings don’t seem like they would be very pleasant to look at it… or smell. That being said, they are some of history’s most badass and dedicated warriors, and actually have a very interesting background if you look into it. 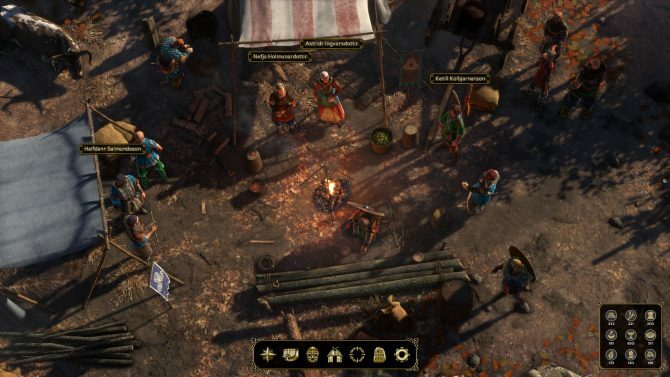 Expeditions: Viking is fittingly the same way. While it may be a bit rough around the edges to look at and play due to some technical problems, underneath one can find an immensely fun strategy RPG that will keep players hooked for quite a while. As soon as I booted up the game, I was brought to a character customization screen. I crafted a female character named Mist that looked similar to a character I had made a few years ago in Dragon Age: Inquisition. While this tool isn’t as detailed as some other modern character creators, it still offered enough variety to let me create a thegn (think “viking warlord”) that felt like my own. Her character model looked a little rough up close, but it was as close to that previous character as I knew I was going to get with this system. I moved on and assigned her a variety of skill points, making her more talented with both a sword and a bow. I also upped her primary stats of Strength and Precision, as I wanted to be apt in both battle and dialogue. Players can also upgrade other primary stats like Endurance, Finesse, and Sense, so anyone can craft a viking to fit their preferred playstyle. 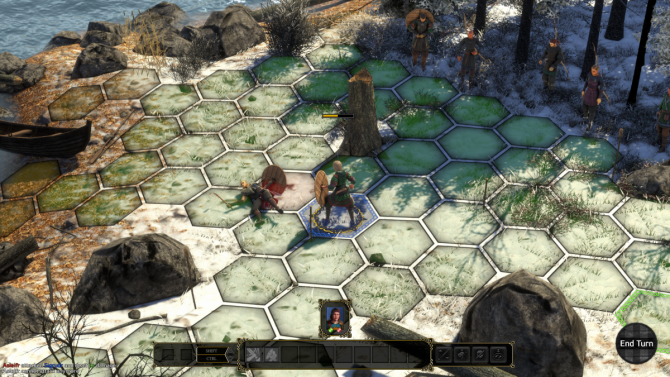 The game begins with player-created character ascending to the role of thegn of their Viking clan after their father died while on an expedition. The player’s father was not a very good thegn though, so many of your clan’s former allies are looking to besiege your clan in this time of weakness. After one of your drunkard challengers attacks you at a feast in your father’s honor, players are set off on a quest to prove themselves as thegn. Logic Artists opted for a more realistic world and story in Expeditions: Viking, which in turn makes the conflict more believable. After that, most of the game centers around players rebuilding their clan, and attempting to get revenge on someone who betrays you early on, bringing you from Denmark to the British Isles. Logic Artists opted to make a more realistic world and story in Expeditions: Viking, which in turn makes the conflict feel more believable. I wanted to succeed as thegn and protect my people, which gave me a personal connection to every battle I was in. This is bolstered by both the well crafted characters and dialogue. 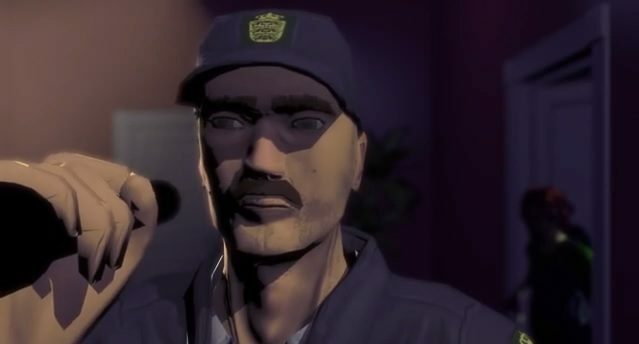 In almost every situation, there are multiple well written dialogue options that each have a slew of possible solutions and effects on the story. There is a lot of reading, but it’s still enjoyable to explore all of the character interactions and other things that help flesh out this world, and see how others react to as your become a more prominent thegn, no matter if that is because you opted to become a trading powerhouse or because you are a ruthless warrior that leaves no survivors. Some choices even result in the life or death of some important characters, so I had to carefully determine each choice I made. 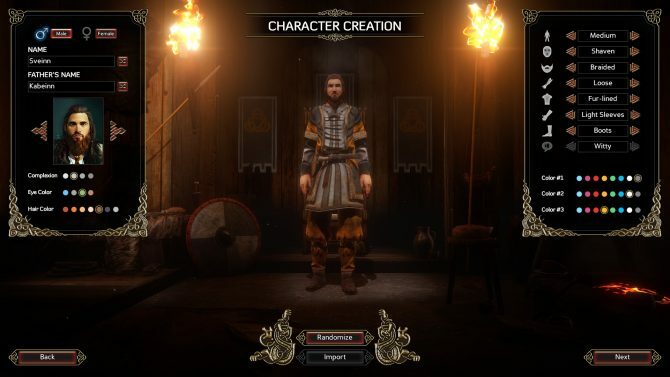 Story is definitely one of Expeditions: Viking’s biggest strengths, as Logic Artists fully realizes this interesting time period, even if the character portraits presented alongside dialogue can actually not be accurate to what the character’s look like in game. The gameplay is just as solid as the story. 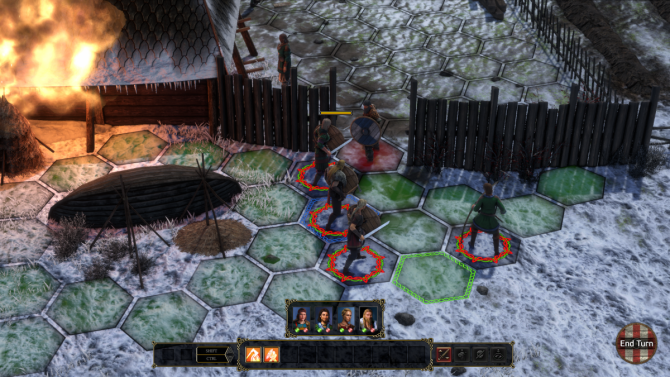 Expeditions: Viking is a turn-based strategy game that opts to use hexagonal spaces instead of squares, opening up more tactical options during battle. Depending on how you apply skill points, your hird (party members) can use a variety of weapons, including swords, axes, bows, and spears. Bows can shoot from long distances as long as the enemy is not in cover, and spears can attack from two spaces away. Generally, each character can move and use one attack or ability each turn, although attacking can be sacrificed for extra movement. Complexity in battle stems from the unique environments you battle in, and luckily, the level design of many of the game’s combat sections is varied. Holding the line with multiple characters on a bridge gives a much different experience than fighting a fellow warrior one-on-one. If one of your fellow vikings loses all of their HP in battle, they don’t die, but are incapacitated and suffer severe injuries instead. These can be treated over time at campsites found on the world map, and by not using them in battle for a while. Soldiers can also get fatigued; if one is not careful, their hird can quickly fall out of shape. This micromanaging, while difficult, never overstays its welcome, and it creates a very engaging risk and reward system. Whether I was in battle or not in Expeditions: Viking, I could also find something interesting to do. There are also advanced skills to upgrade and special battle tactics like flanking for players to utilize in battle. A non-lethal option can also be activated while fighting, giving players the ability to spare enemies lives, which can have positive or negative consequences down the line. Losing a battle also doesn’t always mean that there’s a game over, and the story can continue, which can craft some situations that really feel unique each playthrough. Upgrading your homestead is also a rewarding process as you can see a tangible payoff from what you are investing into your village. Outside of battle, players can also travel around each area they visit, where they can talk to NPC’s, open new sidequests, and find items. These parts of the game operate more closely to classic CRPG’s, and do a good job of fleshing out the game’s world. Whether I was in battle or not in Expeditions: Viking, I could also find something interesting to do, whether that was meeting one of my father’s old “friends” who turned out to have ulterior motive to our meeting, or helping my uncle fend off some wolves. 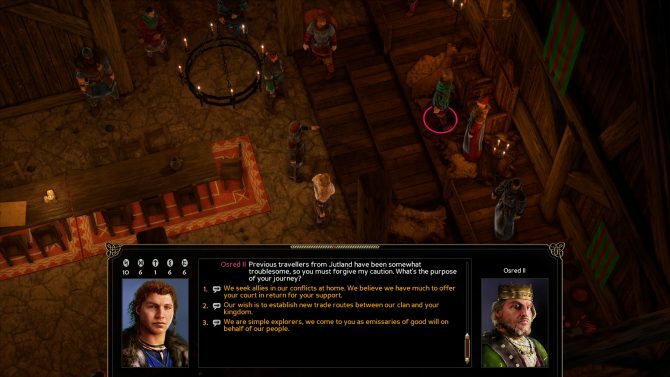 Expeditions: Vikings is fun, but its even more frustrating when these technical problems arise, as they take away from the interesting world the developers so lovingly created. 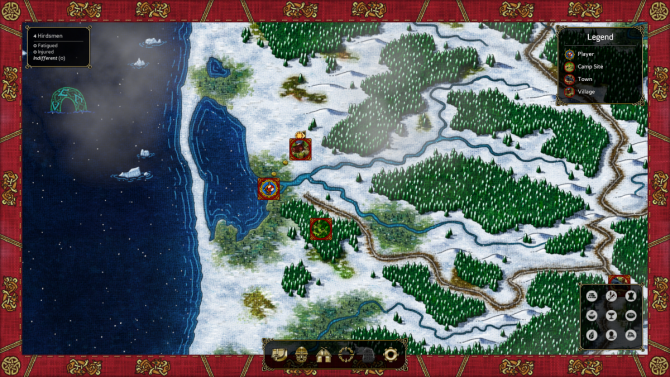 Unfortunately, Expeditions: Vikings is noticeably worsened by some struggles in the technical department. While environments can look nice and the game sounds good, the character models look very rough and aren’t really representative of their portraits. There was also a fair share of clipping in houses where parts of my characters phased through objects in the environment, and that was definitely not a power granted to them by the gods. Load times can also sometimes be atrocious, but the worst part is they can be unpredictable. Loading certain areas took me anywhere from around 5-10 seconds to 1-2 minutes. I also ran into a devastating game-breaking bug early on where a pivotal character for a quest never appeared when he was supposed to, and my earlier autosaves had been wiped, so I had to restart the game from the beginning. There were also a couple of other times when quest markers wouldn’t appear after I started a quest, prompting me to reload saves. 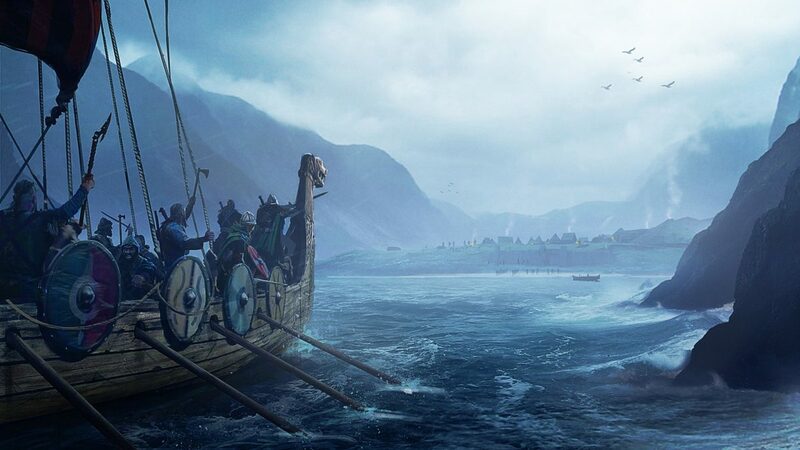 Expeditions: Vikings is fun, but it’s even more frustrating when these technical problems arise, as they take away from the interested world the developers so lovingly created. My PC is in line with the recommended specs too, so I will probably not be the only one that runs into these problems. These can be patched out in the future, but that doesn’t excuse the fact that they are sullying the game’s launch.